That came around quick! But yes, it’s that time once more oh loyal readers! I give you The Shell Case Shorts part 3! 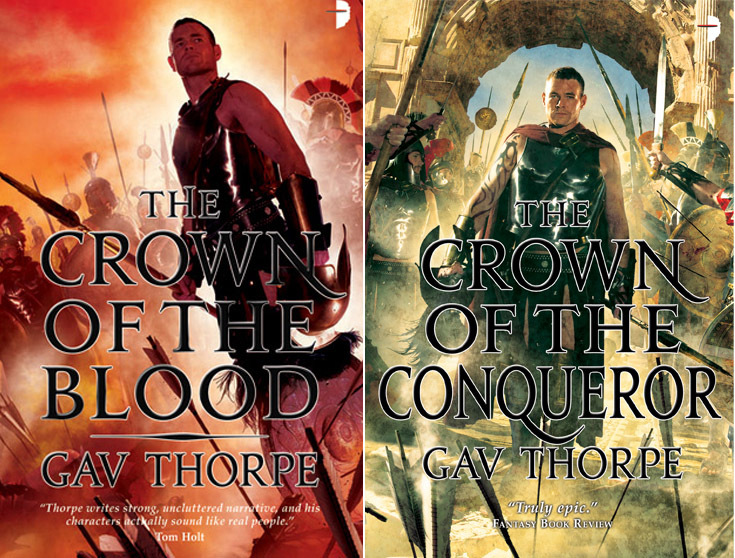 This month the prize is the first two parts of the The Crown trilogy penned, and signed, by Mr Gav Thorpe. If you want to know more about this critically acclaimed set of books you can read more in my interview with the man himself here. The story must be based upon an established fantasy wargaming IP e.g. Warhammer, Warmachine, Freebooter, Uncharted Seas etc. Steampunk falls under Science Fiction so that’s out unless you can make a pretty compelling case to me prior to entering. Your work is your own but intellectual property rests squarely with the companies in question and is only used under fair use. I reserve the right to publish any submissions in a strictly non-profit capacity. All published writers will be credited accordingly. Submissions should attempt to evoke the spirit of their chosen IP – it doesn’t all have to be dragons and daemons. This story will make up the last story of the Shell Case Shorts Anthology in counter point to the science fiction story of the same length from February’s competition which will open the anthology. Word limit is 5,000 words (+/- 10%). All entries must be received by midday Saturday 31st March 2012 after which a single winner will be chosen. Submissions received after this will not be considered. Work believed to be plagiarised will be disqualified. Submissions must include at the top of the first page; the entrants name, a contact email address, Twitter name if applicable and the title of the story. 1 winner will be chosen and notified by email. No discussion will be entered into, my decision is final. The prize may not be exchanged for its cash value or an alternative. However, I reserve the right to substitute the prize if necessary.